The 59th IATA Dangerous Goods Regulations were not even in effect when the first Addendum was sent. This Addendum was posted on Dec 22, 2017, and is effective January 1, 2018. A new state variation was added for Ethiopia. This new addition includes 4 variations including mandatory requirements for the shipper’s declaration form and a mandatory inclusion of an (M)SDS. UPS Airlines (5X), Air Canada (AC), Air France are some of the others who have operator variations. Check these carefully, as there are several pages dedicated to these changes. Table 2.3A – Provisions for Dangerous Goods Carried by Passengers or Crew has been regarding Lithium Batteries. This section is not only important for shippers, but also for travelers. Section 2.3.5.9 has been completely revamped. There isn’t an easy way to go in and make the changes they have listed. As a courtesy to our customers, you can download a revised section with all the changes, deletions and additions. It fits on one page and can be printed for adding into IATA. 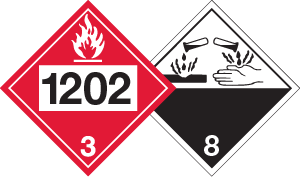 A change was added for Dangerous Goods in Excepted Quantities. The number of packages must now be shown on in the Nature and Quantity of Goods box on the waybill, unless they are the only thing being shipped. There are a few other typographical changes in Section 4, Section 5, and Section 7. If you need your 2-year recurrent training requirement, have new hires, or just want to stay up-to-date, contact us for a quote on public, online or in-house training or schedule your course online.